“In honor of Earth Month, the Department of Public Works (DPW) is pleased to announce the reopening of food waste drop-off’s throughout the city, and an array of other services. 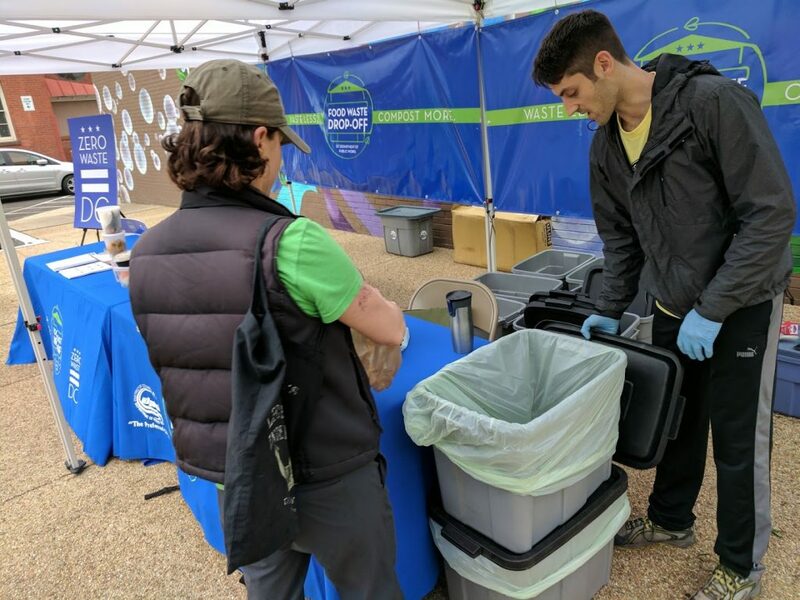 On Earth Day weekend (April 21-22), DPW will be giving away kitchen caddies to the first 50 participants at each open drop-off location to help residents compost their food waste. Mayor Bowser kicked off DPW’s first citywide Food Waste Drop-Off program on Earth Day 2017. Through the free service, residents are able to drop-off food waste at designated farmers markets in all eight city wards. The food waste collected at these drop-off locations is composted locally at District community composting sites and at the Prince George’s County Organics Compost facility. Cleveland Park’s New Farmers Market “anticipates opening on Saturday, June 3”!! “We are very happy to announce the long-awaited launch of the Cleveland Park Farmers Market! Permit applications have been submitted and we anticipate opening on Saturday, June 3. 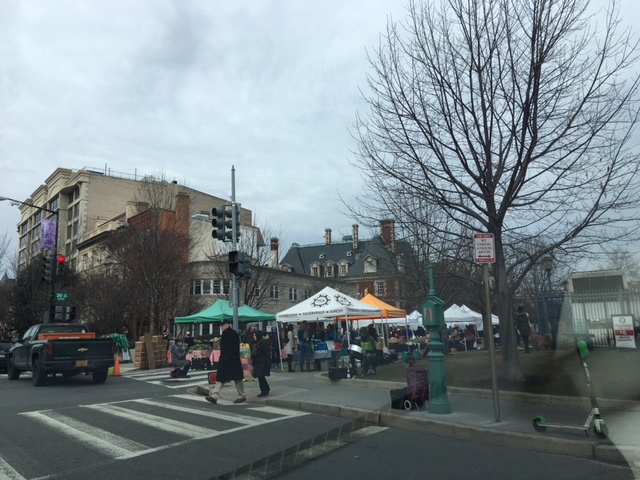 The Farmers Market will operate outdoors every Saturday morning from 8:30 AM- 12:30 PM, in the heart of the Cleveland Park on the West Side Sidewalk of Connecticut Avenue between Newark Street and the Uptown Theater. Sweet, may they hit all four quadrants and as many neighborhoods as possible! 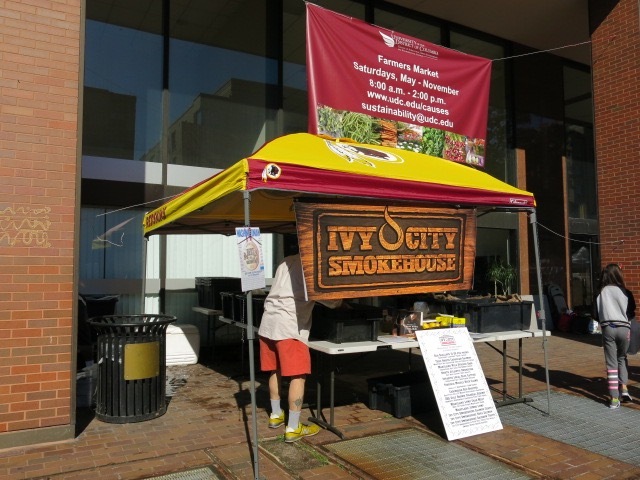 The photo above is from the Saturday’s Van Ness/UDC Farmers Market (4340 Connecticut Ave, NW). I’ve also seen some of their goods at Smucker Farms (2118 14th St NW.) Anyone spot them elsewhere? Ed. 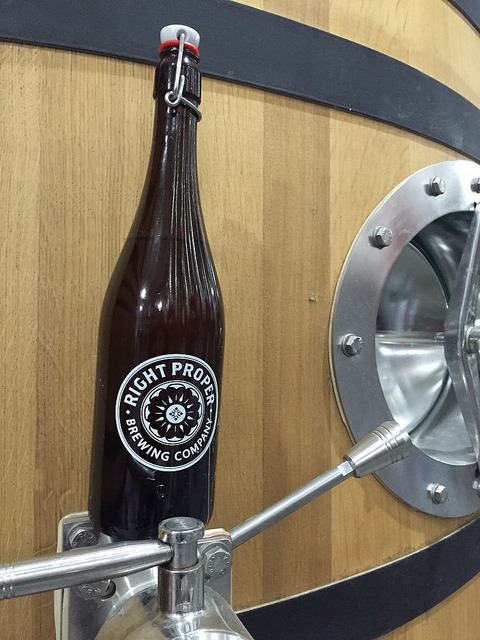 Note: In March we learned You May Soon Take a Taste and Buy A Bottle of Booze/Beer at a Farmer’s Market. DataLensDC was started in the summer of 2015 by Kate Rabinowitz, lover of all things data and District. She lives in a cozy Capitol Hill carriage house where she enjoys data mining, board games and wandering the city. Kate created to DataLensDC to present data-driven views of the character, trends and hacks of the ever-changing District. 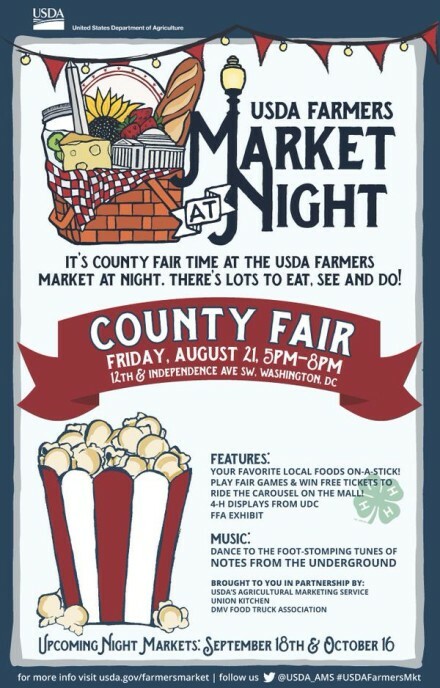 “The August 21st Night Market will include members of Union Kitchen, a Washington, D.C.-based food incubator, who will offer many of the traditional foods associated with state and county fairs. 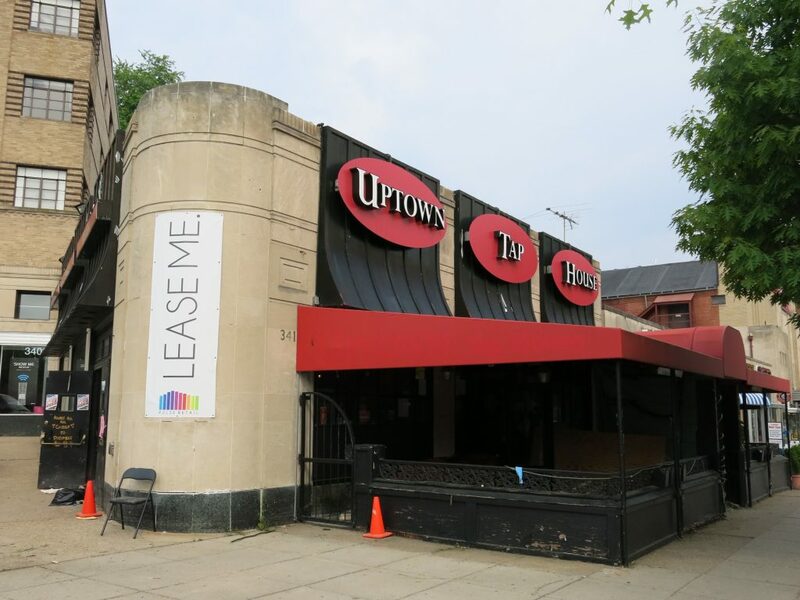 Union Kitchen members as well as food trucks from DC, Virginia and Maryland will offer menu items served on-a-stick like savory firecracker shrimp, cake, corndogs and key lime pie. Of course, no fair would be complete without funnel cake. Food Trucks participating include Reba’s Funnel Cakes, Fava Pot, Carolina Q, Crab Cab, and RockSalt. There also will be exhibits including 4-H displays from the University of the District of Columbia, other agriculture exhibitions, demonstrations, unique attractions and fun competitions. Market visitors will be able to dance to the energetic, foot-stomping tunes of Notes from the Underground, a DC-based Newgrass trio that performs innovative acoustic folk music drawing on Bluegrass, Jazz, Irish and Old-Time traditions. If you’ve never taken a ride on the Carousel on the Mall you may get a chance on the 21st for free! 100 free tickets to ride the carousel, which will be operating until 7:30 p.m., will be among the game prizes awarded at the market. The USDA Farmers Market is located next to the People’s Garden, a beautifully landscaped garden maintained by USDA employee volunteers and steps from the museums on the National Mall. [12th and Independence Ave, SW] Visitors to the August 21st Night Market can explore the garden, play corn hole and picnic on the lawn. “The H Street NE Corridor’s inaugural Twilight Farmers Market will take place on Thursday, June 25, 2015 from 3 p.m. – 7 p.m. at the Starburst Plaza Intersection. Organized by H Street Main Street, the weekly market will feature 10 to 20 local vendors offering fresh, locally grown seasonal fruits, vegetables, herbs, flowers and plants, artisan baked goods, natural meats, food products and food-related products. 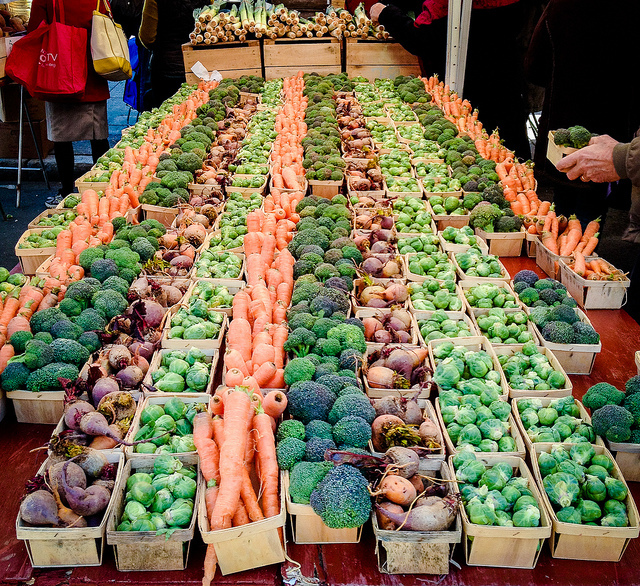 A new Farmers Market is launching in D.C. at 14th and Kennedy Street NW. The soft launch of the market is Saturday, June 6 at 9 a.m. The market will run through Nov. 21 and currently features 7 vendors selling meat, fruit, vegetables, bread and coffee. As the season progresses, the market hopes to foster a deeper connection with the community and bring new and varying types of vendors each week based on the expressed needs and desires of the local residents. The market will also feature a rotating table hosting local community organizations, not-for-profit government organizations, and local community businesses to increase awareness of organizations and promote small business in the area. 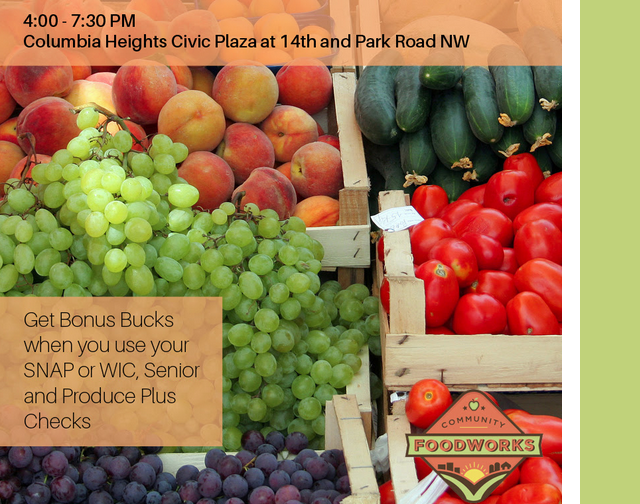 Columbia Heights Farmers Market Launches Evening Market from 4-7:30pm every Wed.